A pastor was showing a good friend around the sanctuary of his church. It was a beautiful, gothic style building constructed in the 19th century. 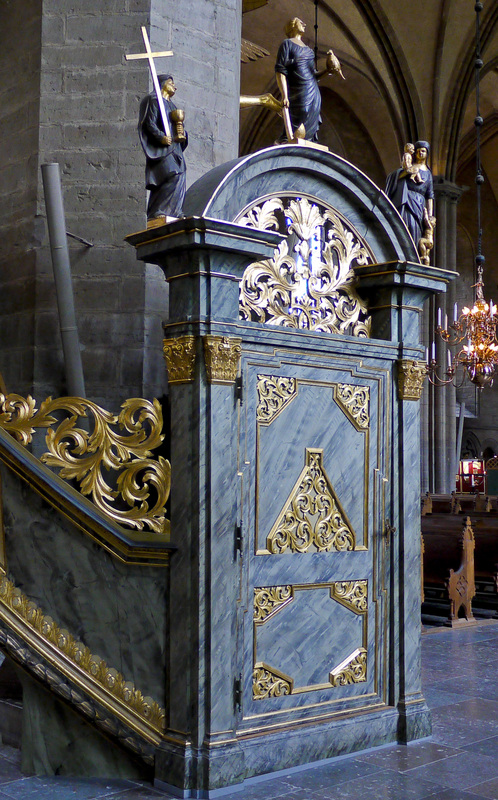 When they came to the large round pulpit the visitor saw that access to the pulpit was through a locked doorway. The pastor commented that over the years the pastor of the congregation was the only one permitted to have a key. Today, some, perhaps many, would label him and that congregation intolerant, lacking an inclusive spirit. In a time of widespread confusion over the nature of the Christian message many in the churches prefer a sort of shotgun approach to truth. Just blast away with as many opinions as possible and somehow, somewhere, the truth just may hit something. I can relate to this congregation and their concern. I learned my lesson the hard way. Years ago I permitted a visiting pastor from another denomination to preach in our congregation in northern Minnesota. He was a son of that congregation and was home on furlough from the mission field. I had met him before. He was a likable, amiable. But the Sunday he stepped into the pulpit, the mild-mannered fellow became a blowtorch of accusation and condemnation. Christ and His GospeI never made an appearance. I was cleaning up the mess, as much for my poor stewardship of the pulpit as for the comments of the preacher, for weeks afterward. There was a time in our Lutheran tradition when laity paid scrupulous attention to the preached Word. They knew what to listen for as Gods’ Law and Gospel were proclaimed. They were not afraid to confront if the preacher veered off into opinions and speculations. Giving the pastor the key to the pulpit, after all, represents a careful management of God’s Word that is the responsibility of the whole congregation. We entrust our pastors with the task of regular preaching. At the same time, laity have an obligation to keep their pastors on point. Not as an expression of intolerance, but as an expression of their commitment to see to it, as the Lutheran Confessions declare, that “the Gospel is proclaimed in its’ purity.” The Forgiveness of sins, life and salvation that are in Jesus Christ depend upon it.